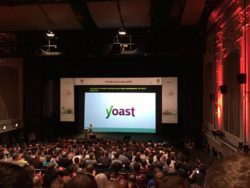 WCEU Love & a discount on all Yoast products! 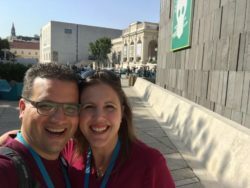 WordCamp Europe was so wonderful! 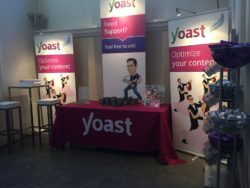 Fourteen members of our Yoast team went to Vienna and had a fantastic time. We enjoyed the many inspiring talks, catching up with old friends and meeting so many new people. We want to celebrate WordCamp Europe by offering a great discount on all of our products! We want to express our love to all of our WCEU friends by offering a 20% discount on all of our products to everyone. All of our other EU-loving clients can also profit from 20% discount. Use our discount code EULOVEFEST and get a 20% discount on all of our products until the end of June (that’s only a few more days). Compliments to the WCEU 2016 organization! We all enjoyed WordCamp Europe very much. It was amazing. So many people and it still felt like being part of a family. Talks were great, social events superb and the Yoast team had a blast at the WCEUball. We want to compliment and thank the organization of WCEU 2016 for their excellent work! Next year, WordCamp Europe will be in Paris! We hope to see you there!